Have you ever wondered how chocolate is made? 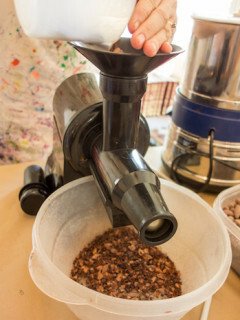 Laura Atlas is a craft chocolate maker and owner of Kiskadee Chocolates and will provide a hands-on opportunity for you to roast, crack, winnow and grind cacao beans with table-top appliances. Participants will learn about the history and production of cacao, sample a variety of single-source craft chocolate bars and temper and create a custom bar.